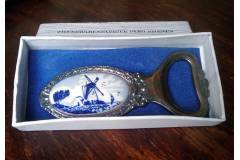 Vintage wine/beer bottle openers, corkscrews and tire-bouchons. Open your beer or wine bottle with style. 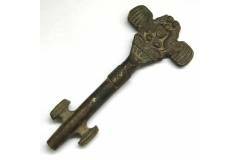 Impress your guests and use vintage bottle opener. Wide choice includes cast brass, sterling silver plated as well as more modern times chrome plated sets. You are welcome to browse items for sale and if you are a returning buyer here or from eBay do not forget to apply your gift voucher at checkout. Two colors available: Brown and Dark - Please, specify which one you want to receive. Nice, simple and elegant design. 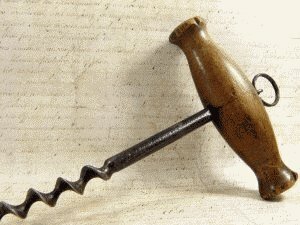 This old vintage corkscrew could be an excellent addition to your room decoration. 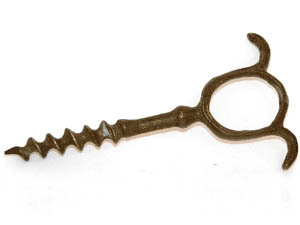 This item has been sold.Vintage corkscrew / tirebouchon wine bottle opener.Key shaped. Two birds facing each other.Grape above a wine glass.Vratza - Famous wine region in Bulgaria.Cast brass. Patina.Made by an Artisan Union Member.Enjoy it in your collection. Vintage bottle opener. Pako Rhenen factory advertising deco item. Silverplated. Comes with a carton box. New Old Stock. Signs of time and storage. Nice blue windmill landscape handle scales. Hallmarked at the back. Vintage bottle opener.Shaped as a drinking man.Some rust and discoloration.Soviet times Russia souvenir.Man wearing a coat with a hat.Enjoy it in your collection. 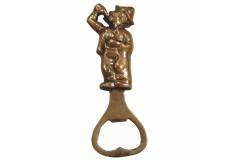 Vintage corkscrew / tirebouchon wine bottle opener.Small dog / puppy shaped figurine.Cast brass. 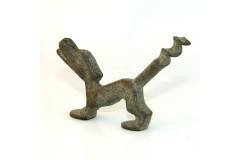 Patina.Downwards looking dog yoga posotion.Condition: corkscrew is damaged.Part of it's missing.Enjoy it in your collection. 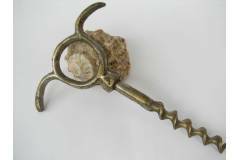 Vintage corkscrew / tirebouchon wine bottle opener.Three finger action.Cast brass. Patina.Made by an Artisan Union Member.Enjoy it in your collection. 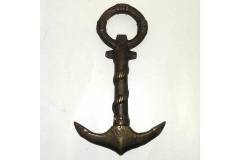 Vintage corkscrew / tirebouchon wine bottle opener.Shaped as an anchor.Cast brass/bronze. Patina.Made by an Artisan Union Member.Enjoy it in your collection. 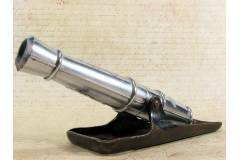 Vintage corkscrew / tirebouchon wine bottle opener.Cannon shaped. Black color painted base.Some rust and discoloration.Soviet times Russia souvenir.Pull cannon out to use it.Enjoy it in your collection. 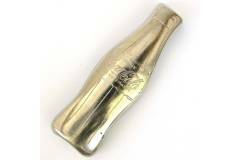 Vintage Soda Bottle Opener.Shaped as the Coca Cola contour bottle.Signed: "Trink", "Coca Cola", "Schutzmarke"Bottle accents lines.Small advertising item.Proud addition to every collection.Signs of wear and time.